Home » 30 day blog challenge » Day 16 - Do you collect something? Before I answer that question I just have to say this, Wohooo!!! I'm half way of my 30 day blog challenge!!!!! Stamps from all over the world! I wanted to revive this collection but the problem is how? The presence of email and social networking sites made communication faster and easier, which somehow defeats the nostalgic and personal approach of letter writing. Despite the fact that we are already in the digital age, I still appreciate receiving personally handwritten notes. One of my greatest wishes is to complete his entire line up of films. 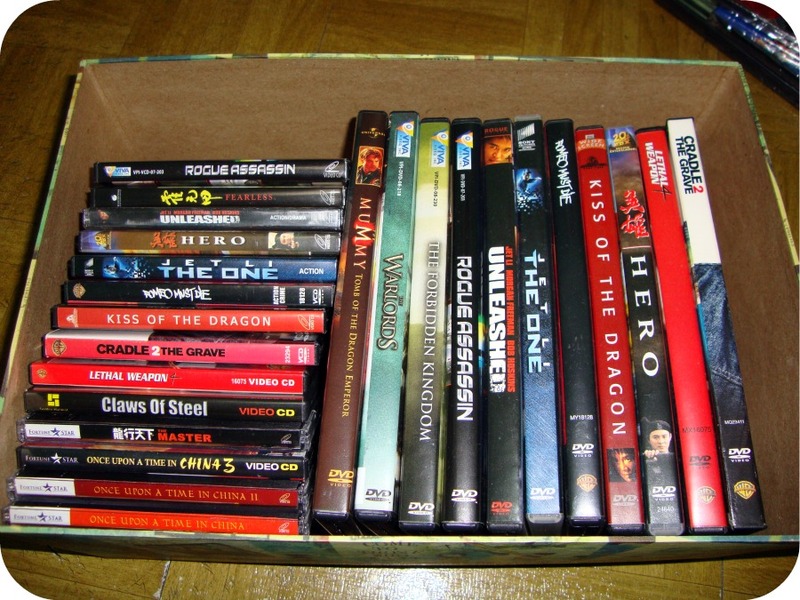 So to my local friends, you have an option what to give me this Christmas :-) Aside from Jet Li, I also collect DVDs of my favorite movies because if I become a millionaire, I will surely construct a mini theater in my new home. Okay, somebody has to slap me to wake me up from dreaming. Today is a Monday and to start my day I'd like to recite my favorite "Monday chant." You want to hear it? Stamps collections always look interesting to me, but I'd never seen one in person. I normally don't collect things but lately I've been gathering more fabric, Sanrio products and please don't laugh at me... Tamagotchis. LOL have an awesome week! my brother collects stamps, therefore he asked me to always save each stamp I get. You're right, it has become less and less since most people write emails. Coins, I collect coins :) I started when we started changing coins from the bigs ones to the really small ones (remember those? the really tiny ones???). And then after that, we changed coins a few more times before we got to the ones we have now. I forget the year but my mom encouraged me to keep the old coins and since then, I started collecting old coins that I find. I still have them. Si funny about the Jet Li films! 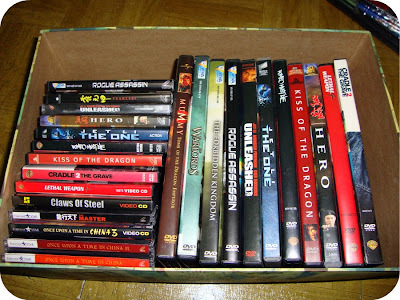 I don't have collections. I used to have stuff when I was younger but I never commit. Can I say I collect clothes? Hahahahaha! I love your stamp collection. Here is what I am collecting lately: My original unsold art pieces! LOL. Hi Diane! I have quite a few collections but the one that keeps growing the most is dishes! :) Looks like you have a nice stamp collection! I used to collect pigs. PIggy banks, stuffed pigs, everything. That was when I was little. Now I just seem to be collecting dust bunnies (ugh). Happy Thanksgiving to you!